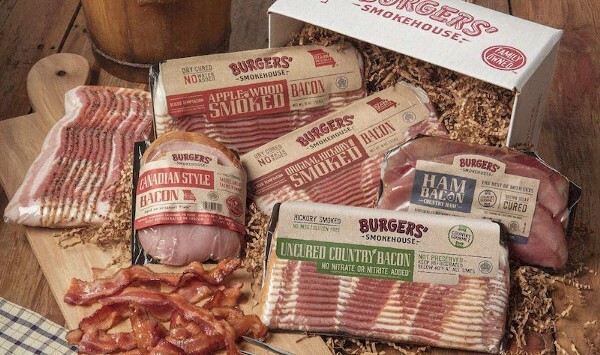 The Best Bacon in America | Mantry Inc.
Bacon in the mail is a wonderful thing, from new age makers to old school smokehouses, here are eight ways to get your bacon on. 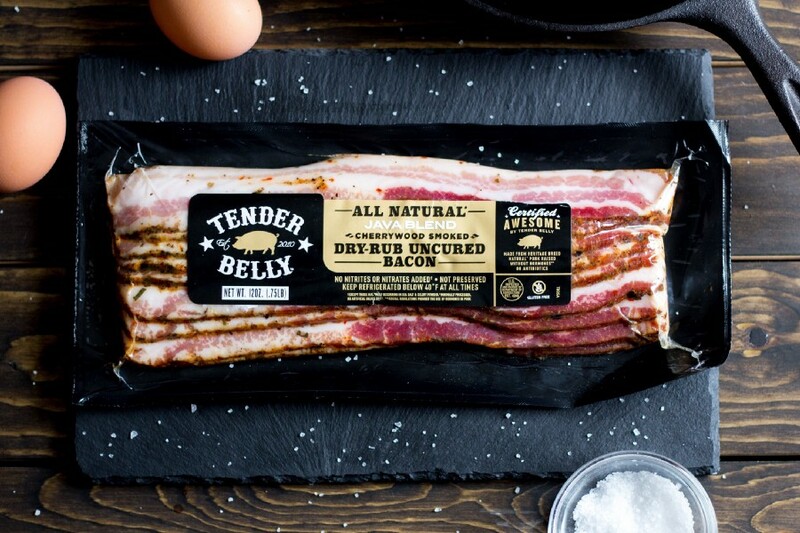 Tender Belly uses heritage pigs naturally grown in Iowa: The signature maple and spice rub on their dry cured and then cherrywood-smoked slabs is a knockout. Allan Benton has been churning out Country Hams and Hickory Smoked Bacon in the Smokey Mountains of Tennessee since 1947 and the experience shows. The bacon is dry cured by hand with salt, brown sugar, and black pepper and smoked in a wood stove smokehouse for two to three days. “Capturing the essence of the Virginian Traditions” since 1926 Edwards producers bacon patiently smoked with hickory. The Country Slab option allows you to cut your own thickness, perfect for a thicker cut bacon on a BLT or dicing up Lardons for soups and stews. 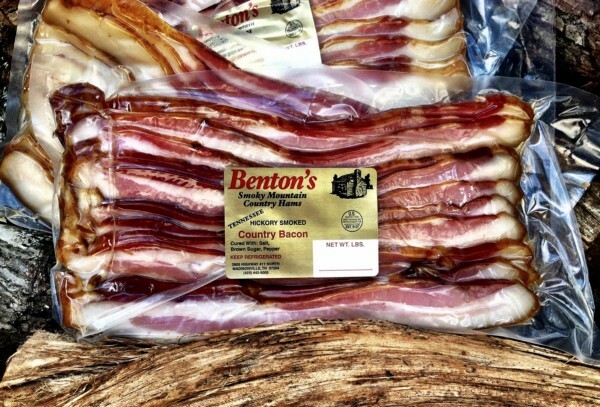 Hailing from Wisconsin, Nueske’s is a third generation family company committed to great Bacon. Their bacon is smoked for a full 24 hours over glowing Applewood embers, it has been a Gold Award Winner in the Specialty Food Association’s national competition four of the last seven years. 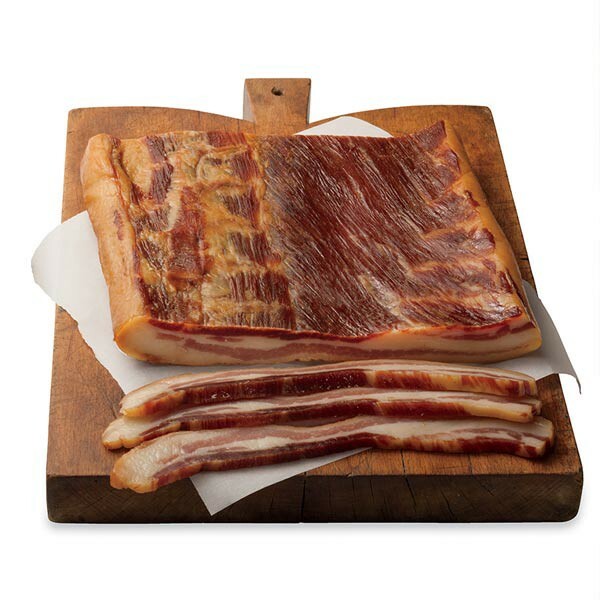 Nueske’s does traditional sliced or their Triple-Thick Cut Bacon is perfect for the grill. A still sunrise, a mug of strong coffee and the aroma of bacon crisping in cast iron might as well be an American pastime and Broadbent’s has been woven into many such moments for over 100 years. The proof is in the pork, with over 14 Kentucky State Fair Championships. 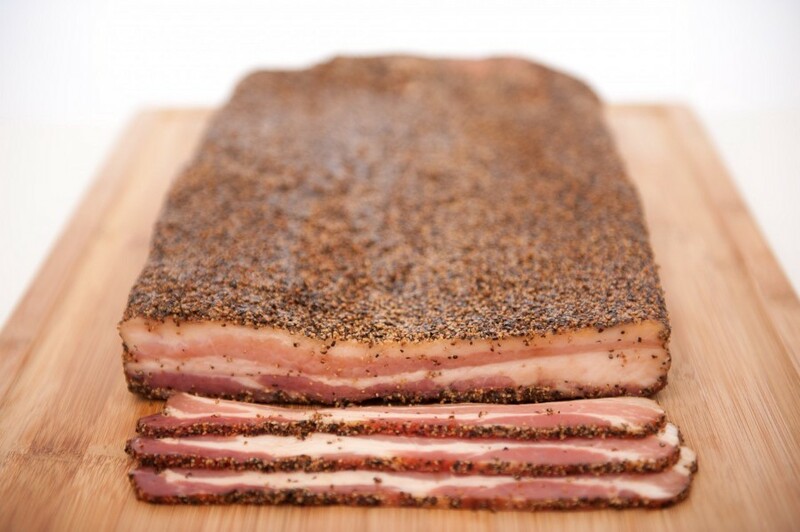 Broadbent’s is dry-cured and smoked the old-fashioned way, resulting in a bacon perfect for baked beans, or a big breakfast. Pound for pound one of the best tasting slabs of bacon you can find anywhere. This bacon is rolled in brown sugar and hand rubbed with cracked fresh black peppercorns before it’s smoked over fresh hickory for 20 hours. 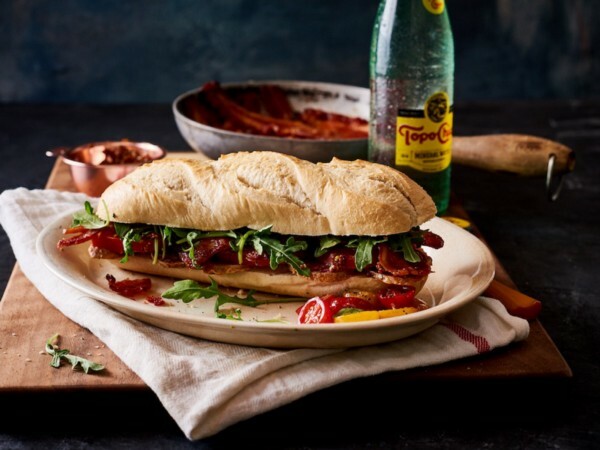 Producing smoked and cured meats from family recipes since 1927, the Missouri based Burger’s has everything from traditional country jowl to cajun bacon “steaks”. Bacon as it’s meant to be.